You are here: Home / Prayer / How Do I Pray without Ceasing? If you’ve read this verse and thought, “How do I really do that?” then you’re not alone. Should you never leave your prayer closet? Should you walk around with your eyes closed? We know that this type of prayer life is not humanly possible, so what did Paul really mean when he said to pray without ceasing? Whenever I spend time in nature, I think about what it must have been like in the garden of Eden. Adam and Eve walked with God in the cool of the day. Imagine that! To physically walk with God. To be close enough to feel his breath as he spoke. To hear his voice speak directly to you and then respond with your own words while looking him in the eyes. Adam and Eve lost this beautiful fellowship when sin entered the world. And since then? Every one of us are born longing for the return of intimacy and deep relationship with our Creator. We may not recognize the desire for what it is, but as Christians, we know that the more we are searching for is a relationship with Jesus. 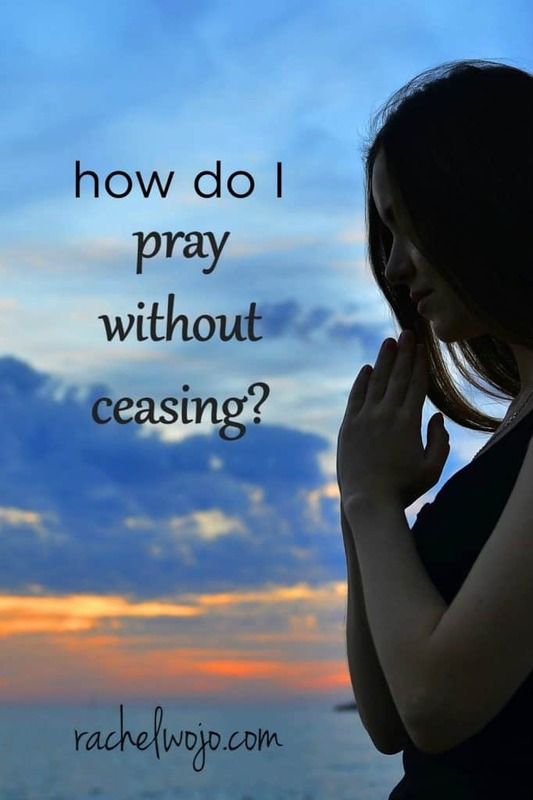 But how do I pray without ceasing? Prayer is the communication tool of an intimate spiritual relationship. Back to our introductory verse, Paul is telling us to maintain an attitude of prayer because prayer contains different methods of communication. Keeping a prayer-like attitude means to be purposeful and conscious of times to connect with the Father and not only talk to him, but listen. It means to be aware of his presence and how he is working in my life personally. It means to have my heart so in tune with his that I won’t miss the moments throughout the day that are available to give him praise, listen to his voice, and ask for his guidance. 1. Enjoy scheduled times of prayer. I know, this is not new news, is it? Daniel turned to Jerusalem three times a day to pray. Many of us have been taught to pray before meals, a natural time to remember to give thanks. We teach our children a bedtime prayer. Keeping scheduled times of prayer is one way to communicate with our Father. 2. Be a noticer of things to be thankful for and breathe thanks to God. Choosing to consciously give thanks for life, breath, and all good things is a beautiful way to practically follow through on the command to pray without ceasing! 3. Give God your worries. I’ve found that the sooner I trap these thoughts and catch myself before the downward spiral of negativity hits, the stronger my prayer life grows. 4. Open your eyes to the needs of people whose paths you cross and lift them up in prayer right then. While I’ve tried to become more aware of opportunities to pray aloud for folks right on the spot when they have needs, the timing is not always appropriate. I don’t want to make someone else uncomfortable with praying aloud, especially if I don’t already have a relationship with the person. When I’m in the grocery store and I see people with canes or oxygen masks or any other hint of physical impairments, I try not to rush through and look over their needs, but instead, I want to remember to pray thoughts of mercy and grace for them. A simple “Lord, be with them” is one more way to keep a prayer attitude. Writing out our prayers is a wonderful way to choose a life of prayer. 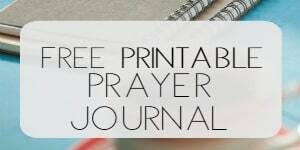 Using and keeping a prayer journal is a topic very close to my heart. One benefit of keeping a prayer journal is that we more easily remember what we write down. This practice will help us choose an attitude of prayer even when we aren’t wholly engaged in practicing prayer. 6. Use tangible tasks to remind us to pray. Life is full of daily maintenance. There are tasks we do over and over and over again that can be monotonous yet they are purposeful. Transform the mundane task into a simple time of prayer. One way I’ve enjoyed teaching this point in the past is through the task of hand washing. When I wash my hands, I focus on the cleansing and I ask God for forgiveness for my failures and shortcomings. 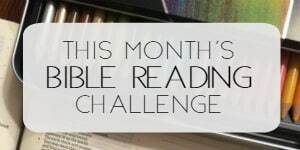 What a fabulous way of using a daily chore to become a prayer trigger! Praying without ceasing isn’t impossible as we initially think upon reading the Bible verse. To pray without ceasing is to keep our hearts open before the Lord in communication with him. Have these ideas helped you? Which one stands out to you? I’d love to read your thoughts in the comments today. Thank you for this post. I needed it, especially no. 5. I’ve never heard of doing this before. I know that this suggestion is an old one that we hear over and over, but I pray when I hear things on the news that strike my heart. oh yes! And when emergency vehicles pass by. Thank you, Susan. Thank you Rachel for this message. You have made my day! As a mother of a child with exceptional needs, I sometimes feel empty and drained. I worry about the quality of my prayer life and my inability to spend more time in His presence like I would love to. Thanks a million for the tips. Thank you for remind me that in every situation I should give thanks and turn to God in all situations. Those are all great ideas, thanks. I definitely need to remember to be more thankful and to give God my worries. I like the idea of praying for someone in the grocery store, etc. when we notice a need. God is SO awesome and ALWAYS right on time! I was struggling today with a poor attitude toward some co-workers. I have been trying to drive home with the radio off to have some quiet, focused, prayer time on my commute home. I was annoyed over some petty infraction, when I felt the Lord tell me to pray for them. I selfishly tried to pray that they would see how “wrong” they were. I knew as I was pulling up to the house that was a half-hearted effort. When I got all cozy and ready to go to bed, I decided to check my e-mail, low and behold….here I am. I believe God did not want me to leave my heart heavy with negativity. Thanks for a great post. I am thankful it gave me an opportunity to revise my prayer for my friends, and myself. Thanks so much! This is so beautiful, thank you. Ideas 2, 3 and 4 usually work for me. Thank you for encouraging us, we at times think that praying without ceasing is being in the closet all the time, Sometimes when I am walking and I see an overloaded motorcycle carrying more than 2people, I usually pray within me, “God protect them.” Wow, I have felt joy and encouragement through this blog today. Shalom! I love your suggestions. I will look at washing my hands in a totally new light. Thank you for your encouraging words. Love this post. Thanks for taking the time to keep us inspired with beautiful words. I recently retired and one thing I wanted to do was focus more on my spiritual walk. Today’s post is a wonderful tool. If we live a life as our Lord Jesus told us to, we are in a constante prayer mood. Our actions to help others are prayers to God. With our life we can be a balsam to others and a prayer to God. You always make me stop and think. I admire you so much. I hope all is going well with you and your precious family. You touch so many lives. God Bless You!! Wonderful! I love that you gave so many examples of ways to pray without ceasing! I do several of them. Especially loved last one! 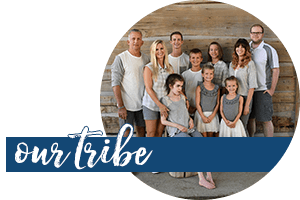 So many tasks we do daily that could be prompts to pray…like washing clothes and dishes for family….thankful for family and the blessings of clothes and food! You are a blessing to many! Thank you so much. I needed that post. I pray God bless you. Great post! Thank you for these tips.